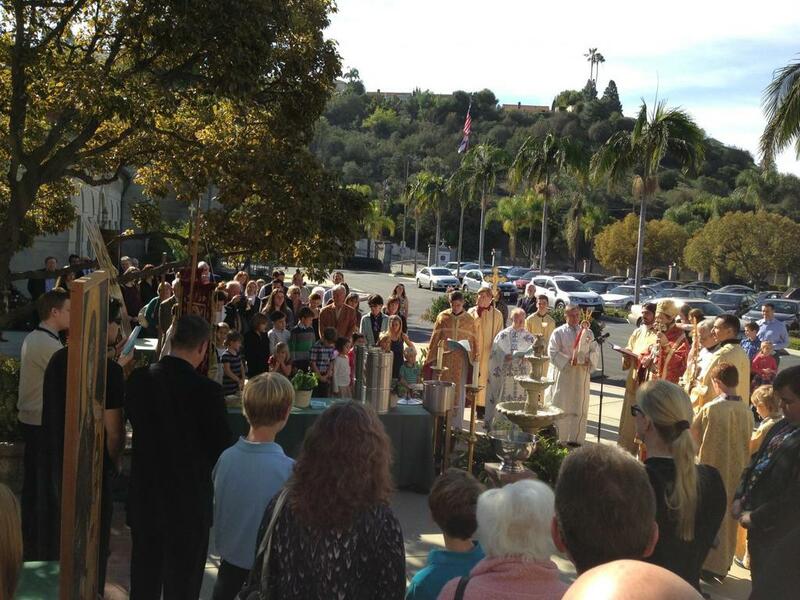 Alhambra, CA - For the first time in six years, the Eve of the Theophany of our Lord Jesus Christ (Holy Cross Day) fell on a Sunday. 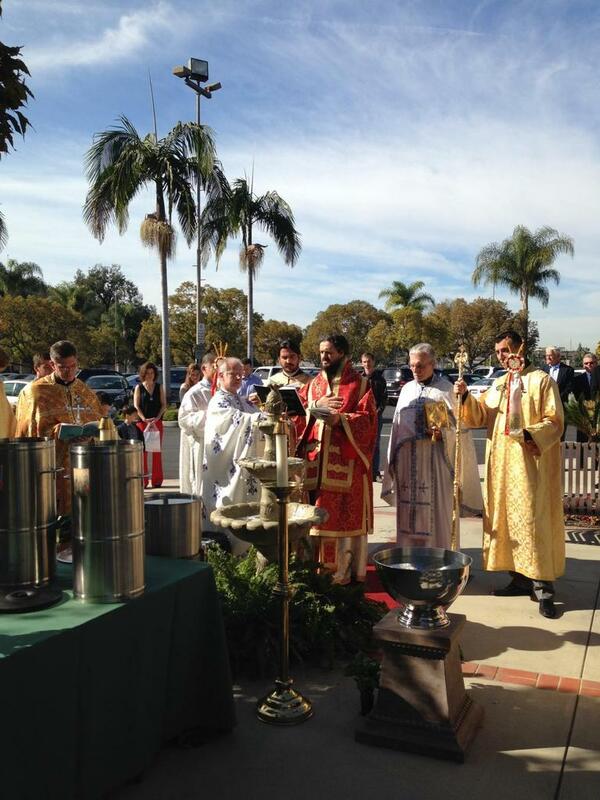 Near the conclusion of the Liturgy, the Altar servers led the clergy and parishioners in a procession out of the church and to the social court, where a bubbling water fountain and several receptacles of water were prepared in anticipation of the service of the Great Blessing of Water, taking place under a crystal-blue sky and in the comfortable warmth of a sunny January morning. 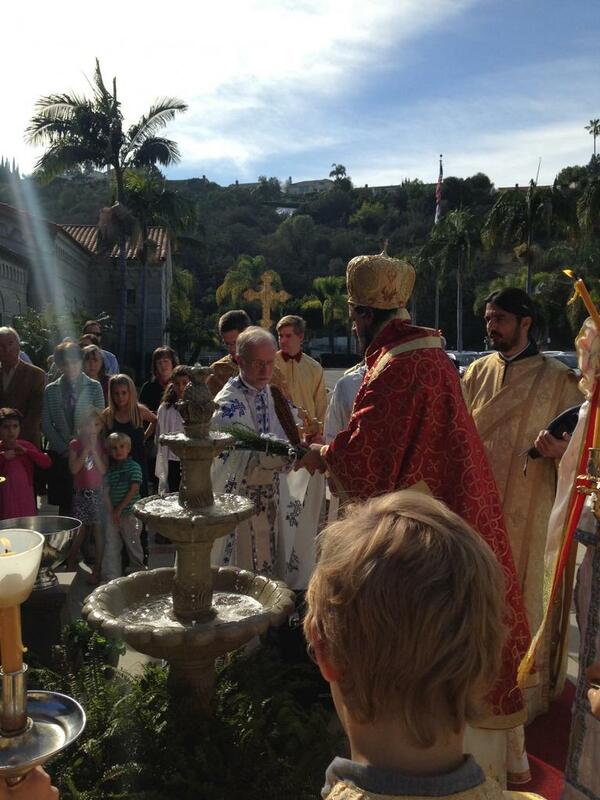 As the Theophany troparion was sung, Bishop Maxim generously showered the gathered faithful with the blessed water, much to the delight of all the children! 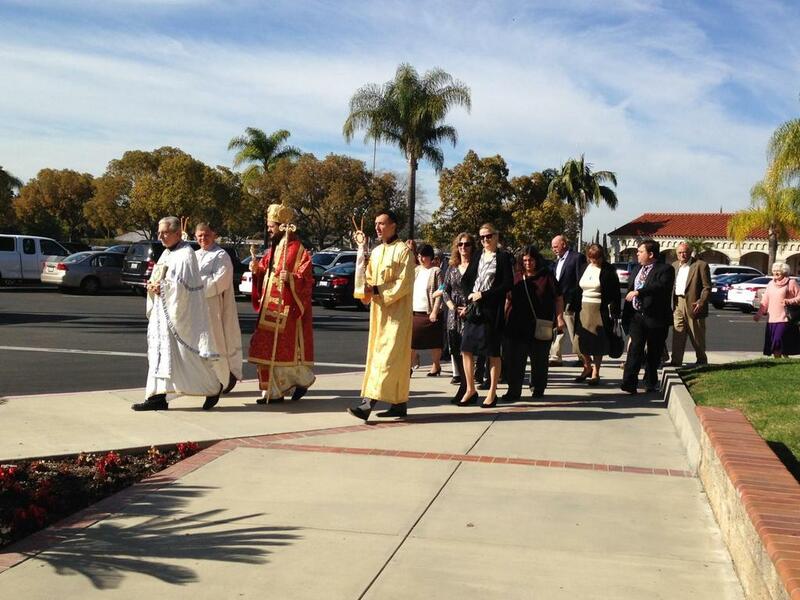 At the conclusion, everyone received a hand-sized Holy Water bottle, filled and labeled for use at home. The children then assembled to rehearse the upcoming St. Sava program until it was time for Bishop Maxim to bless the day’s luncheon and fellowship.